Are you frustrated by the appearance of your stained, darkened, or otherwise discolored teeth? Don’t resign yourself to anything less than the healthy, radiant pearly whites you deserve! 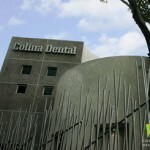 Book an appointment with Colina Dental, where you can receive the teeth whitening in San Jose Costa Rica you’ve been waiting for! At Colina Dental, we’re serious about smiles. Led by our team esteemed doctors, our staff has been devoted to offering experienced, compassionate dental care to the San Jose community and its surrounding neighborhoods for many years. Our longevity is due in part to our staff’s commitment to maintaining access to state-of-the-art technology while consistently receiving training in cutting-edge dental techniques. That way, our patients can receive the most effective and pain-free treatments available in a light-hearted environment where the whole family can feel welcome, respected, and at-ease. Our services include comprehensive dental examinations, periodontal procedures and treatments, tooth whitening, cosmetic dentistry, restorative dentistry, implant dentistry, endodontics, periodontics, dental/oral surgery, orthodontics, full mouth restoration, and many more. 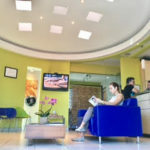 Curious what a cosmetic dentist can offer you in terms of teeth whitening in San Jose Costa Rica? Our teeth whitening solutions are safe, quick, and inexpensive. Teeth become darker over time, often as a result of behavioral habits (smoking, drinking red wine). This can also occur due to a gradual wearing down of enamel, revealing the darker-colored dentin beneath. Regardless of the cause, our treatments can correct brown, yellow, and spotted tooth staining and works on patients of all ages, offering a near-permanent, brighter smile for just about anyone. We offer both an in-office bleaching system and a take home bleaching system that will yield dazzling results in just days. 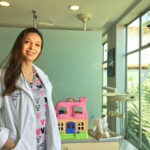 To learn more about whether you might be a good candidate for teeth whitening in San Jose Costa Rica, call Colina Dental to speak to a cosmetic dentist today. Our treatments will help you smile with more confidence than ever!